WASHINGTON — The U.S. Supreme Court took no action on Tuesday on the future of the Deferred Action for Childhood Arrivals program, a move that requires the government to keep the program going for at least 10 more months. The Trump administration urged the justices to hear appeals of lower court rulings that prevent the government from shutting DACA down. Now, any cases accepted in subsequent weeks won't be heard until the next term, which begins Oct. 1, and it would take a few months more for the court to issue a decision. DACA allows children of illegal immigrants to remain here if they were under 16 when their parents brought them to the US, provided they arrived by 2007. The Obama-era initiative has allowed 700,000 young people, commonly referred to as "Dreamers," to avoid deportation. The nickname comes from the DREAM Act, which would have offered many of the same protections as DACA but was never approved by Congress. The Trump administration moved to end the programin late 2017, but federal courts in San Francisco, New York, and Washington, D.C., blocked that attempt. Following a brief hiatus, the government began accepting renewal applications from DACA participants, which must be filed every two years. 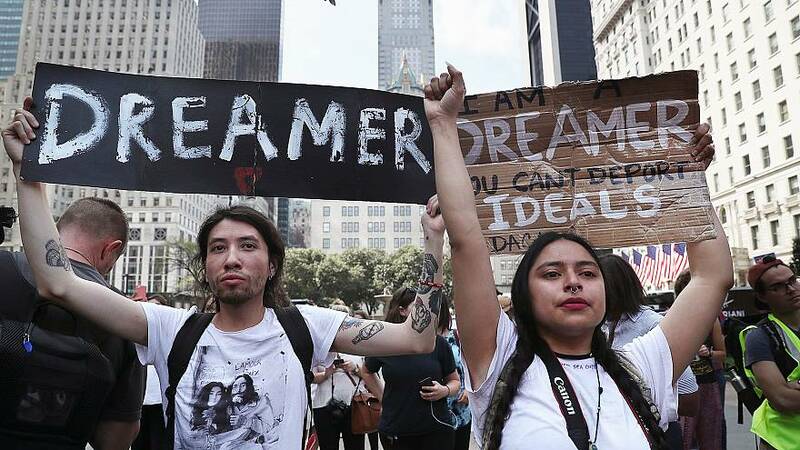 The Ninth Circuit Court of Appeals in San Francisco ruled that, far from being illegal, deferred action has been a feature of the immigration system for decades. "In a world where the government can remove only a small percentage of the undocumented non-citizens present in this country in any year, deferred action programs like DACA enable DHS to devote much-needed resources to enforcement priorities such as threats to national security, rather than blameless and economically productive young people with clean criminal records." The Justice Department asked the Supreme Court to overturn up those lower court judgments. The Department of Homeland Security and the attorney general concluded that it is unlawful, said Solicitor General Noel Francisco, finding that it "sanctions the ongoing violation of federal law by more than half a million people." He said that by agreeing to hear the appeals, the court could "provide much-needed clarity to the government and DACA recipients alike." Francisco also said that as long as the question is pending in the courts, Congress has less incentive to come up with a permanent solution. But supporters of the DACA program said nothing in the lower court rulings would prevent the government from undertaking deportation proceedings against any individual DACA recipient if the need arose. They also noted that President Trump himself has taken conflicting positions on the program, saying at one point, "I love the 'Dreamers.'"